That Was the Best Christmas! A.R. (Alice) writes from her heart and from her experience as a mother, grandmother, teacher, and follower of Christ. She earned a MSFA (Master of Science in Fine Art) from the University of Wisconsin-Milwaukee and worked as a third-grade teacher. 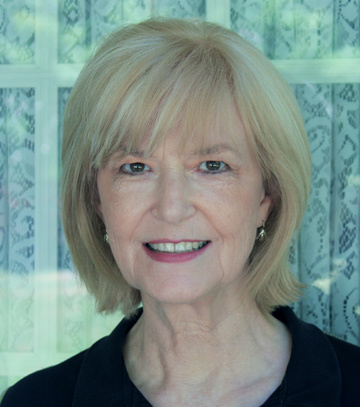 She has been writing poetry, fiction, and nonfiction for many years. Alice and her physician husband reside in Louisville, Kentucky. They enjoy traveling to visit their four children and four grandchildren where they live in various parts of the world. Alice enjoys giving book readings and speaking to women’s groups. 1. Have you always lived in the “Blue Grass” state of Kentucky? Alice: All my life except for the four years that my husband and I spent in Wisconsin, where Joe did his internship and residency, and then two years in Virginia. After that we returned to our home state of Kentucky and have lived here ever since. Kentucky suits us very well. It offers the four seasons, as well as rolling hills and trees. While not in the Deep South, there is a southern atmosphere; people are friendly and take time to relate to one another. 2. We understand you’ve been writing most of your life, and only recently began having your work published. What has been the impetus for this launching out? Alice: I believe this is God’s timing. God has been (still is, of course) working in my life—preparing me, teaching me, and allowing experiences that mold me. 3. Your bio states that you earned a masters degree in fine arts. Are you a visual artist as well as an artist with words? Alice: All of my work to earn that degree was in studio painting (large canvases were dabbed with paint from a rag). But God had a plan. I have always been a person who enjoyed the arts. As a child, I put on plays in the basement. As a young adult, the visual arts were my way to express ideas and emotions, because I did not have enough life experience and maturity to be a writer. The journey from painter to Christian writer could have only been orchestrated by God. After receiving the degree in the visual arts, Joe and I started a family. When the children were very young children, I read children’s books to them all the time (I would recommend reading children’s books aloud to any aspiring author because it is a good way to develop the rhythm of writing). As a result, I came to appreciate children’s literature. So, I wrote some of my own books and illustrated them. Soon, the small bits of text that ran across the pages of those picture books grew and grew. From those exercises, I grew as a writer, which led to writing a newspaper column. The desire to incorporate God’s Word into my writing made me realize I needed to obtain a clearer understanding of theology. I was led to seek out mentors. And I found inspiration from Christian writers like Martyn Lloyd-Jones, Watchman Nee, Oswald Chambers, and C.S. Lewis. 4. We’re curious to know where you get ideas for your many, varied story plots, settings, and characters. Alice: The ideas are a result of an interest in addressing some aspect of the human condition with God as the answer. The characters then flow out of that germ of an idea, and the setting is determined by the characters themselves. 5. In writing THAT WAS THE BEST CHRISTMAS!, which story came easiest? hardest? Alice: It was a blessing that most of the stories just flowed: “Christmas Reborn,” “Two Plates Short,” “The Button Jar,” “Three Flights Up,” and “Emma in the Middle” are examples. The hardest story was “The Vow.” As I explained above, the story started with an idea. In this case, a watch that had stopped for many years, and then started again, represented someone whose relationship with God had “stopped” for many years and then also started again. For a long time I envisioned the main character as a woman. Then I decided the story would work better with a man as the main character. It was important that he isolate himself from his family, so there needed to be a reason for him to move away. To establish a fine balance regarding his character, I let him be self-absorbed but not unfeeling. The story required a deadline, a sense of urgency, in which the main character would need to make a decision to change or remain the same. Then, in order to show his changed heart, I let him communicate with his editor. Lastly, to keep the story from sounding preachy, an indirect approach was used. 6. Do you have any advice for young, aspiring authors? Alice: Work first on your relationship with Jesus Christ. We never “arrive”; the process is ongoing. Pray to know God’s will for you as a writer. Find Christian authors who inspire your walk. Write every day, if at all possible; writing is a discipline that requires practice. Don’t become discouraged. If you enjoy writing, then write. My husband has said to me many times, “If writing is just for building you up in the Lord, then it has served its God-intended purpose.” Enter into fellowship with other writers. It’s a joy when you can find kindred spirits. While writing is a solitary activity, it is best executed in an atmosphere in which we are able to share. For example, the poetry book that I just published had four Christian readers and a Christian proofreader. I cannot imagine writing that book in isolation. The input from those dear ladies was very meaningful, and I have had a great deal of enjoyment in fellowship with them. 7. Where can readers find you online? Alice: I can be found as a contributor on the blog, www.JourneysToMotherLove.com.